Cheesy Buffalo Chicken and Rice: Creamy, cheesy, and oozing with spicy flavor and a hint of ranch, this chicken and rice dish is nothing short of spectacular. Not to mention it contains ZERO cream of anything! Guess what? I have entered toddlerhood. 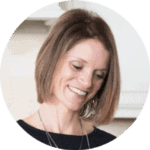 Not my kids–my BLOG!!! A Mind “Full” Mom is officially 2 years old!! Woohoo!! And while I promise not to throw temper tantrums, being a toddler and all, I am excited to announce that I am still in my growing period and have so much more to learn and so many ways to improve. For those of you who have stuck with my from the beginning–THANK YOU!!! Can you even believe how far I have come?!! And for those of you who are newbies around here, I hope you stick around and will be wowed with my future growth. My very first recipe I posted on A Mind “Full” Mom was Creamy Cheesy Chicken and Rice. And it is my biggest post BY FAR!! I recently went in and updated the pictures, because well, that was just embarrassing, and BAM!! It is going gang-busters. Take a look at all that cheesy goodness! Simple perfection! So in order to celebrate your love for me and my love for you–I decided to do a spin on your most favorite recipe ever and fuse it together with one of my favorite flavors ever: Buffalo. You know I am a bit obsessed with the Buffalo Chicken combo. I have made Buffalo Chicken Bake, Buffalo Chicken Pizza, Healthier Buffalo Chicken Wings, Buffalo Chicken Tacos, and Buffalo Chicken Salad. All of which are winners. But today, I am sharing a recipe so good, so easy–there is no reason not to make this Cheesy Buffalo Chicken and Rice ASAP. It is my bloggiversary wish after all! 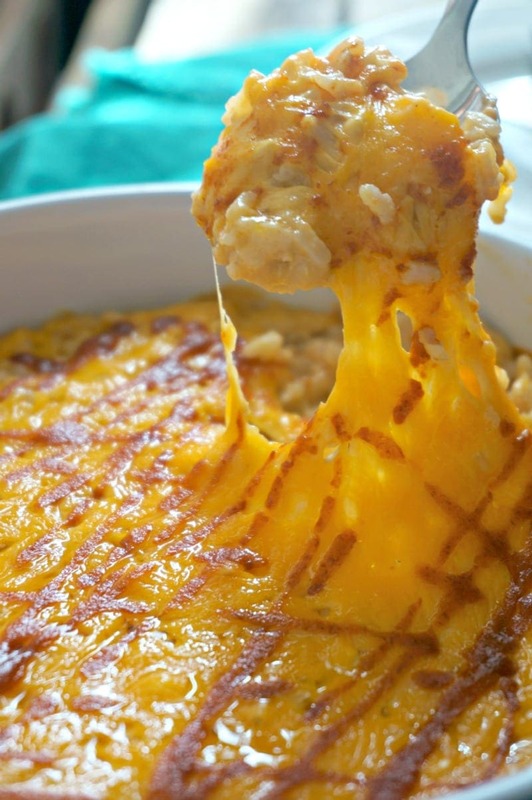 Cheesy Buffalo Chicken and Rice starts off just like Creamy and Cheesy Chicken and Rice. 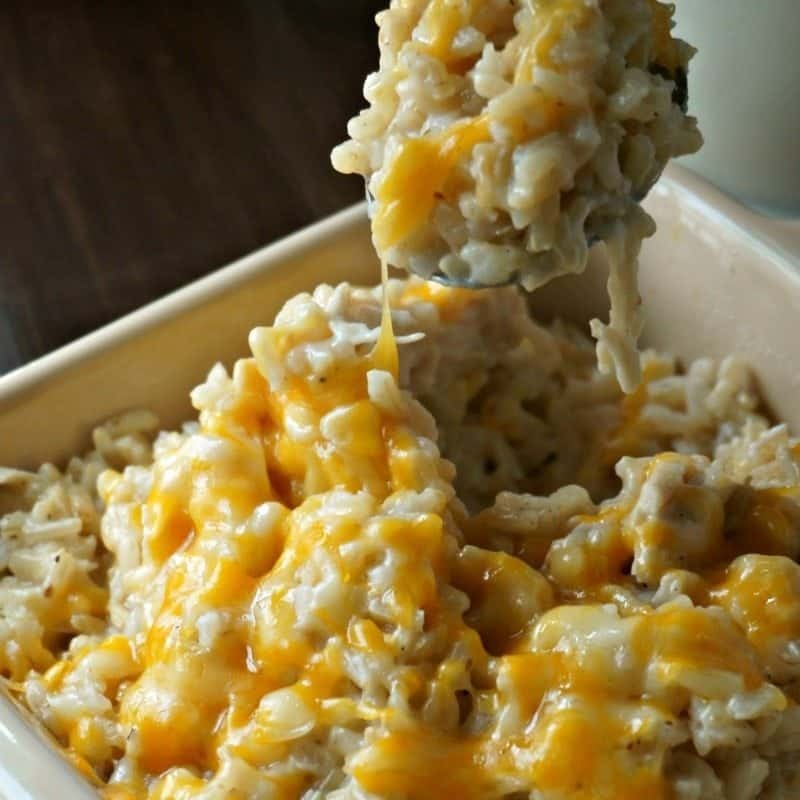 Cooked rice and shredded chicken are mixed together in a creamy sauce that is made from scratch in just minutes and then baked with a layer of cheese. What is different is the level of flavor and spice are out of this world in Cheesy Buffalo Chicken and Rice. The sauce features all the classic flavors of Buffalo Chicken and is swirled with homemade ranch for another level of creamy dimension. As you know, I prefer ranch over blue cheese, but to each his own–you could certainly could use blue cheese dressing here. To finish it off, I still pile on the cheese, but also drizzle additional hot sauce over the baked dish for a bit of a added kick. Oh this dish has my mouth watering just remembering it. You must try it–I promise you it will soon become a new favorite in your household as well! Whole grain rice, shredded chicken and cheese are baked in a spicy buffalo sauce. Melt butter into a medium saucepan over medium high heat. Stir in garlic and cook for 1 minute. Whisk in flour and cook then slowly pour in chicken broth whisking continuously. Add in salt, pepper, paprika, and hot sauce. Whisk until thick and nearly boiling. Stir in ranch dressing until just combined. Stir in rice and chicken and then transfer to a 9×13 inch baking dish or 3-4 quart casserole dish. Top with cheddar cheese and bake for 25-30 minutes or until cheese is melted through. Drizzle with additional hot sauce if desired. Serve. Ranch Dressing (This makes just about 1/2 cup) Mix together 1/2 cup plain Greek non-fat yogurt, 2 Tbs milk, 1 Tbs fresh lemon juice, 2 tsp dried parsley, 1/2 tsp garlic powder, a pinch of dried dill, and salt and pepper to taste. I wish I had this to enjoy during the game last night. It looks so perfectly cheesy!! Perfectly cheesy! My family would polish this off in no time! We were fighting over 3rd servings here! I too am a lover of all things buffalo. This looks like pure, delicious comfort food. If you love buffalo, this is for you! Who needs mac & cheese! I love this rice with cheese! Very nice! 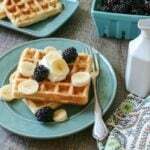 Thanks Analida–this is so much better than Mac and Cheese! This looks like perfect comfort food! It is just that–comfort for sure! Aw thank you so much Allie! Thank you so much Summer!! I am pretty much obsessed with anything buffalo chicken so I think it is safe to say I would LOVE this dish! YUM! 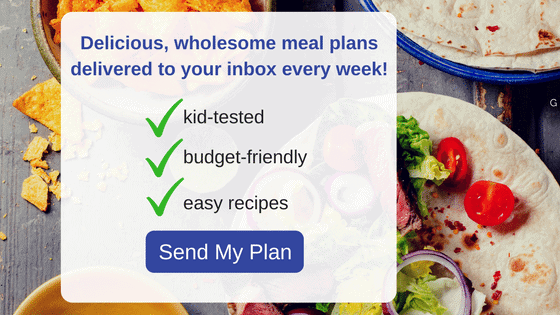 sounds like delicious comfort food – my son would love that cheesy layer on top! Thanks Caroline. My sweet friend gave me that dish. All that cheese! So much yum! What a tasty looking dish! I love the combo of cheese and hot sauce. It is quite the combo!! This was sooooo good ! I didnt make it healthy though :/ I used white rice and homemade ranch with whole milk and mayo. I took 4 oz of mild cheddar chunks and tossed in the mix so When you serve it from the pan, that cheese oozes out. She shur was purty; the star of the show! She was studded with green onions and had a salad as her entourage…Wish I could have posted a picture but my family thwarted that but it’s all good; I will definitely make this again. ???? Well I am so glad you like this and your family enjoyed it as well 🙂 That makes me so happy!